Each price level is available in limited quantities. Once a price level is sold out, tickets will continue to be sold at the next price level, while supplies last. 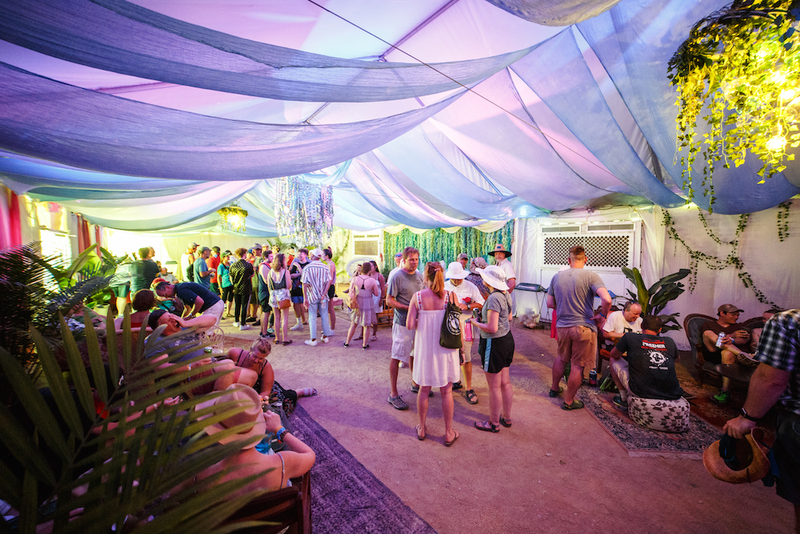 All price levels provide the same festival experience. Secure your weekend pass for under $45 down by selecting Layaway Plan at checkout and pay the remainder of your ticket in installments. Pre-sale $144.50 + fees - SOLD OUT! Level 1 $164.50 + fees - SOLD OUT! Secure your weekend pass for under $55 down by selecting Layaway Plan at checkout and pay the remainder of your ticket in installments. Commemorative mug allows entry into the Bourbon Lodge with or without drink tickets featuring air conditioning, exclusive restroom trailers, dozens of unique Bourbon selections including mixology, rarities, flights, and more. See full details here. Urban Bourbon Trail “Starter Kit” including copper flask, cocktail stirrer, and more! VIP Weekend Passholders may redeem VIP and Bourbon Lodge™ items at the Louisville Visitor Center starting Thursday prior to the festival. Tickets for the Bourbon Lodge are not included, must be 21+ to consume alcohol. Secure your weekend pass for under $76 down by selecting Layaway Plan at checkout and pay the remainder of your ticket in installments. Purchase Bourbon Lodge™ memberships here or as an add on to your festival pass during the purchase process. Must be 21+ to consume alcohol. 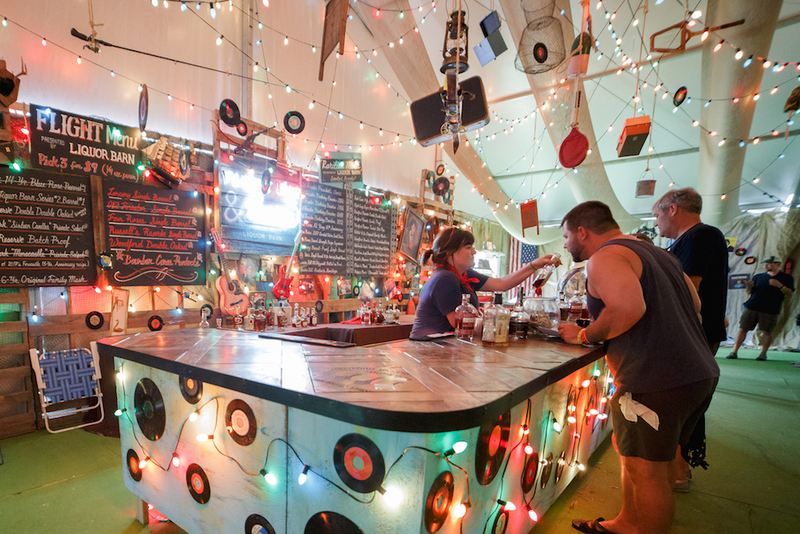 Bourbon Lodge™ membership DOES NOT include a festival pass or access to the festival. Plus Yacht Club access AND Bourbon Lodge Member benefits. On the checkout page, you have the option to purchase your full order at that time or you can purchase using a “layaway plan.” Layaway plan is available for GA, Yacht Club, and VIP tickets. Purchaser must agree to the Layaway Plan Terms & Conditions, including a default policy. A deposit upon purchase will serve to secure your ticket(s). All subsequent payments will be automatically charged to the credit card used for the initial purchase. Your ticket(s) will not be mailed to you until you have made your last payment. Please reach out to Frontgate’s customer service if you have questions regarding the payment plan. IMPORTANT: If, for any reason, any of your payments are declined, in whole or in part, then all of the following will apply: (i) your order and your tickets will be cancelled (ii) any payment received as of that date will be kept by Forecastle as partial offset for your default, (iii) you will still owe the balance of the full amount due for each ticket and you authorize Front Gate and Forecastle to charge your credit card for any balance due, (iv) Front Gate and Forecastle will be entitled to pursue all of their legal and equitable remedies to recover the full payment from you, and (v) you agree to pay all costs of collection incurred by Front Gate or Forecastle, including legal fees, that they may incur in collecting the balance of each ticket price. Payment plan tickets are subject to all of the other terms of the ticketing agreement. Each ticket buyer to Forecastle will receive a high security wristband with a uniquely coded RFID (Radio Frequency Identification) chip embedded inside. Every wristband will be scanned as you enter and exit the festival site, as well as at certain locations within the festival site. If your wristband has been tightened or is damaged, please contact our ticket provider, Front Gate Tickets in advance of the festival. If your wristband has been lost or stolen, please contact our ticket provider, Front Gate Tickets or call 888-512-SHOW (7469) in advance of the festival. Wristbands typically begin to ship 2-4 weeks prior to the festival. At the festival, if you have any questions or problems regarding your wristband, please visit the Box Office where a staff member can help you. A portion of our ticket fees will directly benefit the Forecastle Foundation. Patrons of all ages are welcome. Passes/tickets will be required for patrons age 6 and older. For questions regarding a previously placed order, please call 888-512-SHOW (7469) or visit Front Gate Tickets. 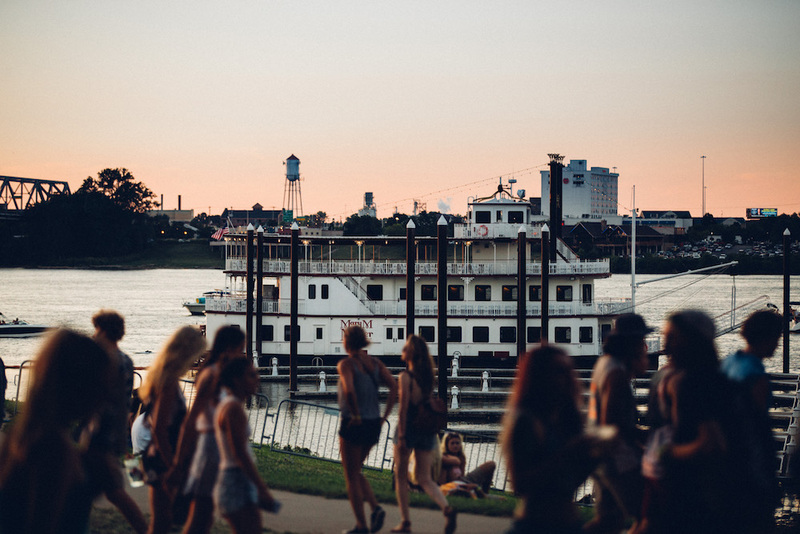 All acts advertised have confirmed their appearance at Forecastle 2019; however, acts and performance times are subject to change without notice. There is a limit of eight (8) general admission, eight (8) yacht club, and four (4) VIP passes/tickets per order. Management reserves the right, without the refund of any portion of the pass/ticket purchase price, to refuse admission or to eject any person who fails to comply with the rules of the venues, local, state or federal law, or whose conduct is deemed illegal, disorderly, or offensive by management. Persons entering the venues are subject to search for contraband, unauthorized merchandise, alcohol, controlled substances, weapons, firearms, fireworks, cameras, video equipment, or recording devices, which are expressly forbidden. Any persons found attempting to enter the venues with forbidden item(s) will be refused access, or, at venue’s discretion, allowed to give up the forbidden item(s). Confiscated items will be destroyed or given away at venue’s discretion. 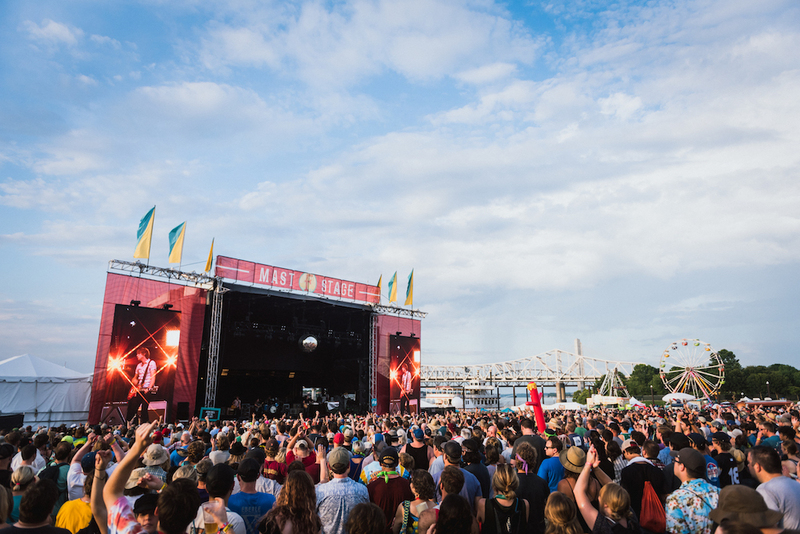 Passes/tickets/wristbands may not be used for advertising, promotion (including contests and sweepstakes), or other trade purposes without the express written consent of Forecastle. Pass/ticket/wristband user consents to Forecastle and its affiliates’ use of his/her image or likeness incidental to any video display, transmission, or recording of the event.